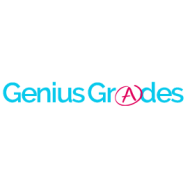 Genius Grades is founded by IIT Engineers and Educational Economists who have deep knowledge of the education industry. The institute Guarantees improvement in School Grades for CBSE and ICSE students. The education methodology is holistic and comprises frequent Mock tests and computer aided learning. Our students often achieve scholarships in School Exams and competitive exams. It is located in Garia, Kolkata. It takes Regular Classes- at the Institute.